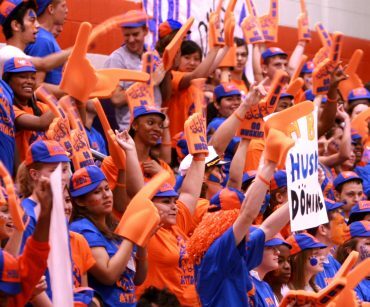 “GO” is HBU’s official free, required orientation for new incoming freshmen and transfer students. Freshmen and Transfer “GO” is a free and required for all new incoming students. Multiple New Student “GO” sessions are scheduled to help complete the final steps in your process for applying and registering for classes, and is the most important. Orientation helps you understand all the resources and services the university can offer to help ensure your success. And… It’s fun! 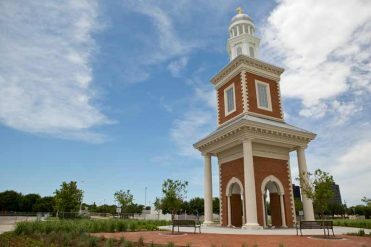 Deposited students will have the opportunity to attend a variety of sessions to help them transition into HBU, as well as be advised and register for classes. At the end of the day attendees will leave with their schedule in hand! Various HBU Orientation programs are presented depending on whether you are admitted to the fall semester, spring semester or summer school. See the descriptions below to find the orientation program you should attend. Ready to get a jump start on your Fall Schedule? Registration opens March 1 for Pre-Registration day. Students will meet with their advisor and register for your summer or fall classes. This day is optional and open to all new incoming Fall 2019 freshmen and transfer students. If you have completed the following checklist, then it’s time to register for Pre-Registration. Questions about anything on the list? Contact your Admission Counselor. The event will take place from 8 a.m.- 1 p.m. You plan to attend the entire event as we will go over several element critical to your enrollment at HBU. If you are unable stay the entire time please choose one our of GO sessions happening this June. Transfer students: who attend Pre-Registration are NOT required to attend a Transfer “GO” session. Freshman students: who attend Pre-Registration MUST still attend New Student “GO” session in June. Please plan to register for both events. Freshmen “GO” is a 2-day, overnight, required orientation for all new incoming freshmen (those who are attending college for the first time). If you have attended one of our Pre-Registration events, you still must register for one of the “GO” sessions in June. Parents are welcome to attend as there are portions of the orientation to help your student be successful. Students and families should plan to clear their calendars to attend the orientation and registration as there is important information about financial aid, tuition & payments, class registration and welcome days. These events give students the chance to register for classes, meet with an advisor and finalize all the details before starting classes in the fall. Transfer Orientation is a program designed with a diverse group of transfer students in mind. 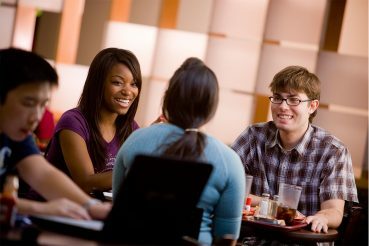 These sessions help new transfer students become familiar with services and programs vital to their successful transition as full active members of the Houston Baptist University community. These orientations are required for new incoming transfer or post-baccalaureate students to attend if they have NOT attended a Pre-Registration Event in May or Nursing Orientation. These events give students the chance to register for classes, meet with an advisor and finalize all the details before starting classes in the fall. This is usually an all day event so please make arrangements to join us for the entire time. 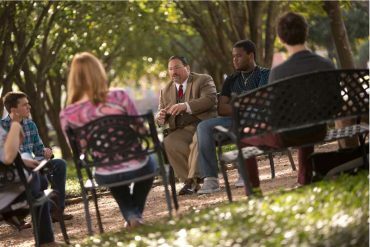 Advising is one of the most significant components of a students successful college experience. For the future Huskies who live 250+ miles outside of Houston Baptist University, we invite you to participate in our Distance Advising. Once you register for an appointment. Students will be contacted via email to set a time to speak over the phone regarding class selection and registration. Distance Advising will begin on Monday, June 24 through Friday, August 16. Remember to check your email for a message from your advisor. Distance advising will require the student have access to a laptop or desktop computer with internet access. Students should plan to be present for phone appointment. We will not provide a schedule to parent or family member of student. When registering for a “GO” select distance advising, fill out form completely. If you need to take placement exams or need to submit outstanding transcripts please do so 1 week prior to your appointment for accurate credit hours to be reflected. Students should be able to access their Huskynet, please visit this guide on how to access your Huskynet. Your appointment is set by an academic advisor via email. Be sure to check your email regarding a preferred appointment time from your advisor. An advisor from the Academic Advising Office will contact you regarding your request on that day to discuss class selection and registration. Did you miss the summer “GO” sessions in June? Don’t worry we have 4 more opportunities for you to register for classes, meet with advisors, and get connected. We have created our Mini “GO” sessions to help you get it all done. Come experience these one-day orientation to take care of your final items before you start classes this August. Check back after July 1st on dates and times. We are excited to welcome you to the Pack!